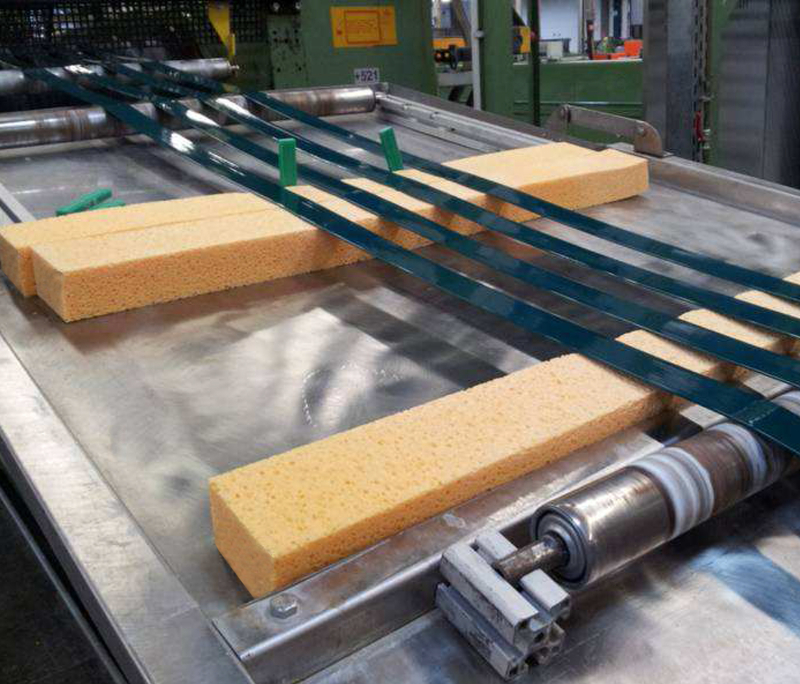 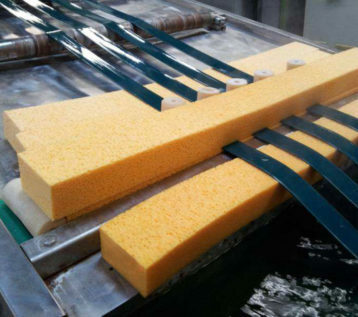 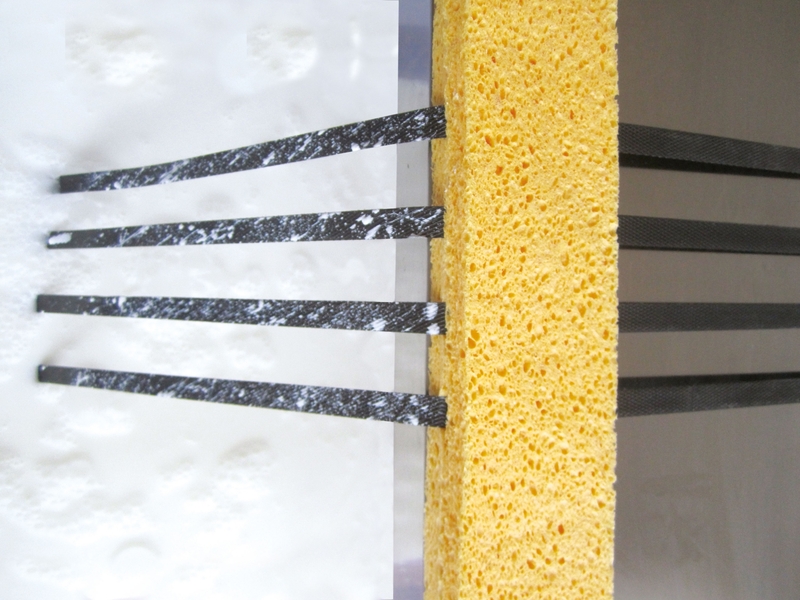 Cellulose sponge can support a variety of applications in the plastic processing industry. Custom designed cuts in cellulose sponge are important properties for the end of plastic extrusion lines. Custom designed cuts made in special porosity cellulose sponge are used in monofilament production lines.